What Happens to Your Online Presence When You Die? In its first eight years of existence, an estimated 30 million Facebook users passed away, leaving behind their pages and all of their data. While Facebook now offers to memorialize pages of users who have passed away, there is still a time period in which deceased users might be friend requested, tagged in photos, or wished “happy birthday” before the news of their death becomes known. This information had us wondering… what exactly happens to your online presence when you die? Beyond Facebook, is your data stuck on the network, or can your family members access it? Can your username be claimed again once your profile is gone? Can anyone view your email or log into your social media profiles? This infographic has all the answers to these questions and more. Read on to learn about the “digital demise,” and what happens to your online presence when you die. 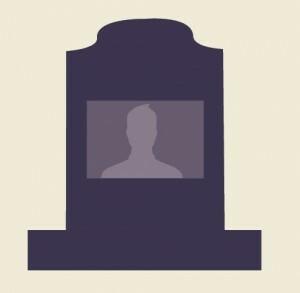 Video: What happens to your online presence when you die? Jazmin De Jesus answers the sensitive question of what happens to common online accounts after a user dies. As you learned in the infographic above, websites and social media networks all handle the passing of their users differently, and have different requirements for deactivation. Some sites prevent your username from being used even after you have been confirmed deceased, while others — namely Twitter — will deactivate your account after six months of activity and make your username available again. It’s important to understand each website’s policy and requirements if you may have to act on the behalf of a deceased individual. Google’s Inactive Account Manager is perhaps the most elegant way to handle an inactive or deceased user, automatically notifying specified contacts and allowing them full access to data. However, this requires some foresight on your part, as the service won’t work unless you set it up in advance. As of February 2015, Facebook allows users to designate a “legacy contact” — essentially, someone who will be responsible for the management of your Facebook account in the event of your passing. Legacy contacts can add a pinned message to the top of your profile, maintain your page and wall once it is memorialized, accept new friend requests, and download a copy of your Facebook data (if you choose to enable that feature). The last interesting bit of information we found was with regards to Facebook’s user base. Right now, Facebook continues to grow at a rapid rate, now topping 1 billion users. However, if this growth stopped completely, when would the number of memorialized accounts outnumber the active ones? 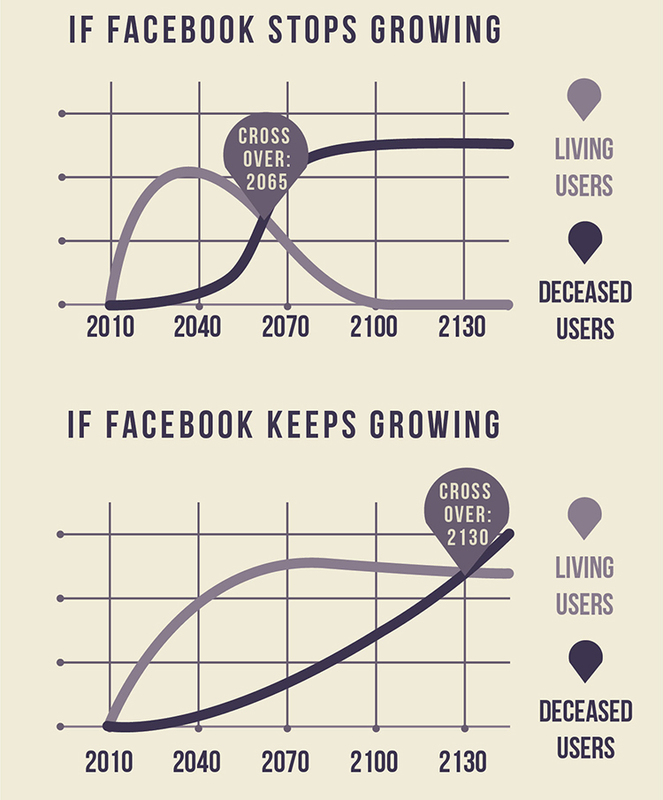 Based on research by XKCD, it’s estimated that Facebook’s deceased users would outnumber the living by 2065 — and the entire site would be deserted sometime around 2100. Yet if Facebook keeps growing, and memorialized accounts are never removed, there will still be a crossover — sometime around 2130. Even if you are in good health or young, it may not be a bad idea to make a plan for your data, in the event of your unexpected passing. Think about who you would like to have access to your email, social media accounts, or other online information. Set up the Google Inactive Account manager, or spend a few minutes reading about Facebook memorialization. Although death is a subject that no one wants to think about, if you make a plan for your data, it may be able to give your family some closure after your passing. If you enjoyed this infographic and have infographic needs of your own, consider checking out our custom content marketing strategies.